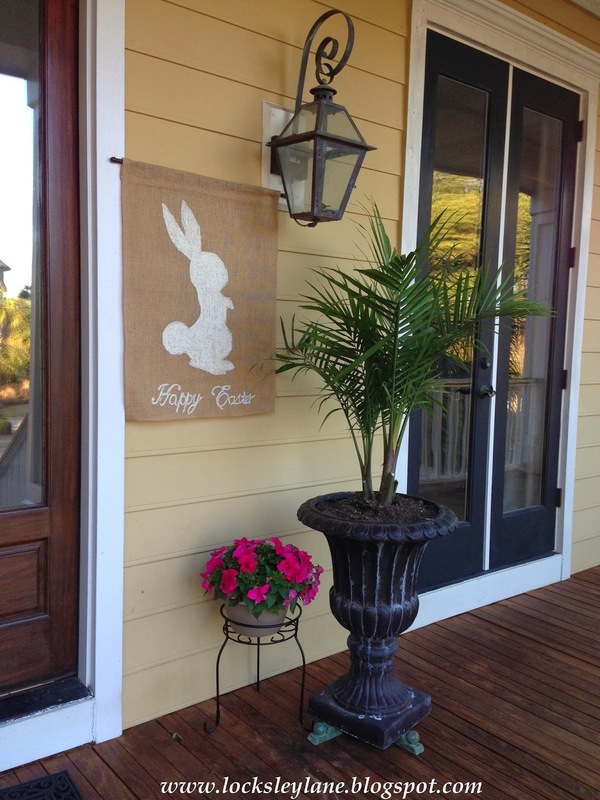 I was going through a few magazines the other day and I noticed several of these cute little burlap Easter flags. 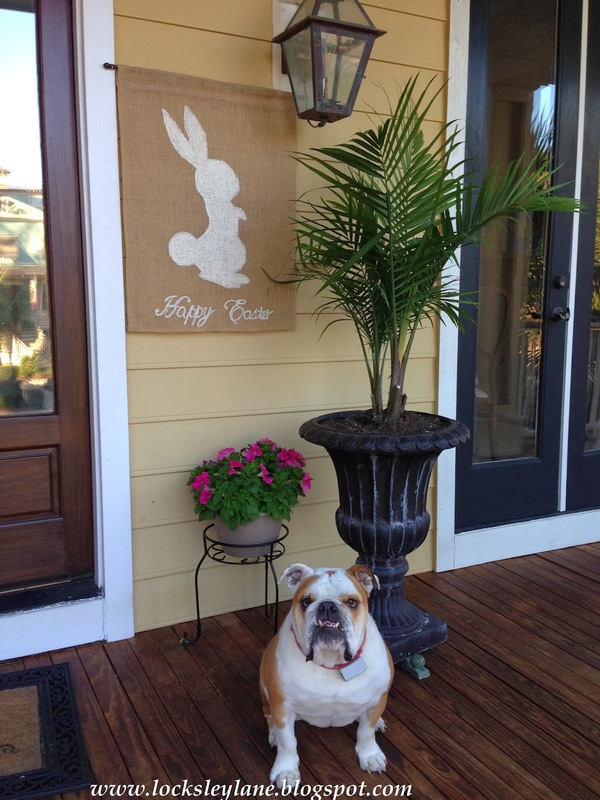 I thought the bunny flag was super cute so I thought I'd give it a try. This is very easy and there is no sewing involved....yay! And, with the help of The Graphics Fairy you can find all kinds of graphics to use on your material so you can make any kind of flag you want. I bought a yard of burlap and was able to make two flags out of this. 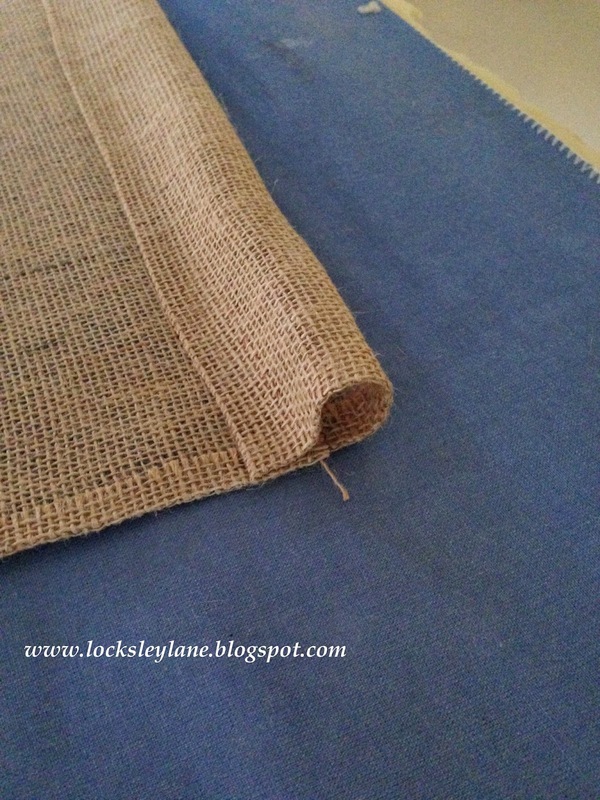 Roughly measure the center of your burlap and take a thread from the bottom and pull it through the entire piece. This will leave a gap in your material that you want to cut through to make your halves. 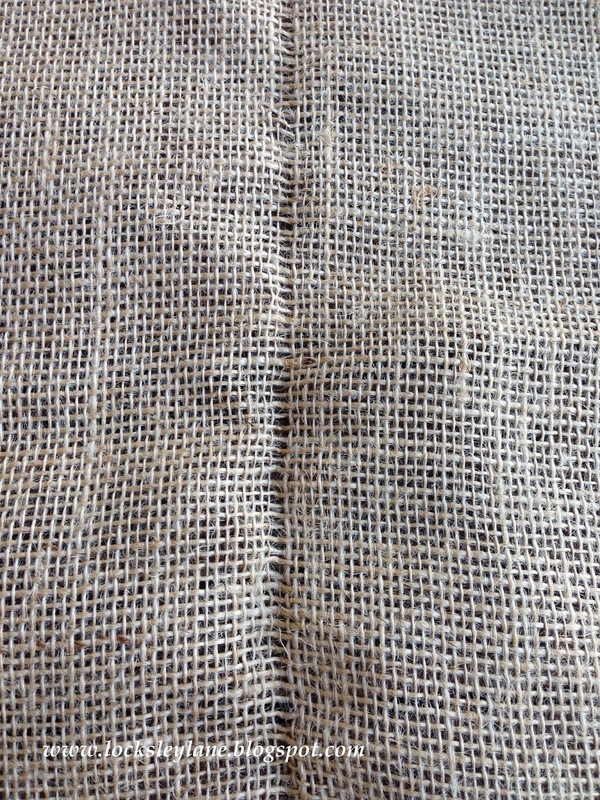 You don't want to cut randomly through burlap as this will make the threads and your material uneven. You want to seal your edges so the material doesn't fray. Buy some Bond N Seal from Hobby Lobby or Michaels and you can do this easily and quickly with an iron. 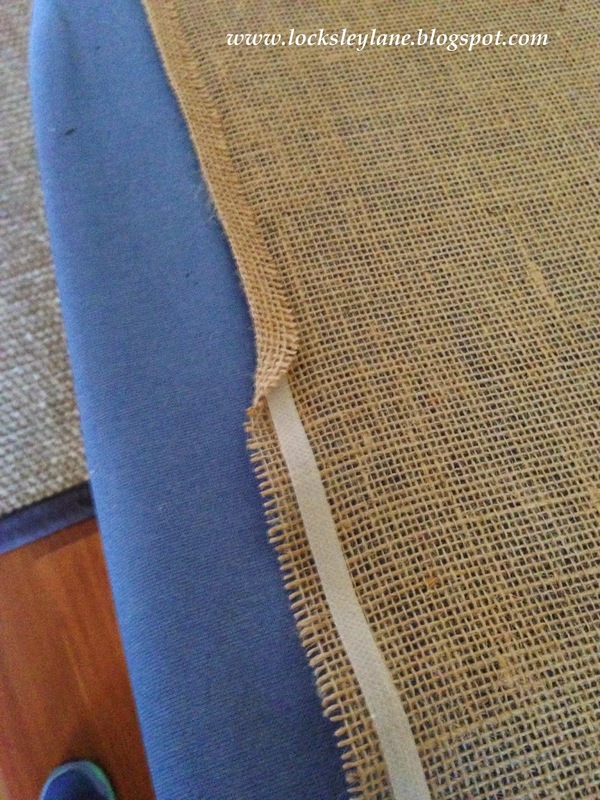 Once your edges are sealed, you want to fold over the top again and seal this with Bond N Seal to the backside of your material to make room for a curtain rod, or pole. Once your edges are sealed and you have made a loop for your rod, you are ready for your graphic. 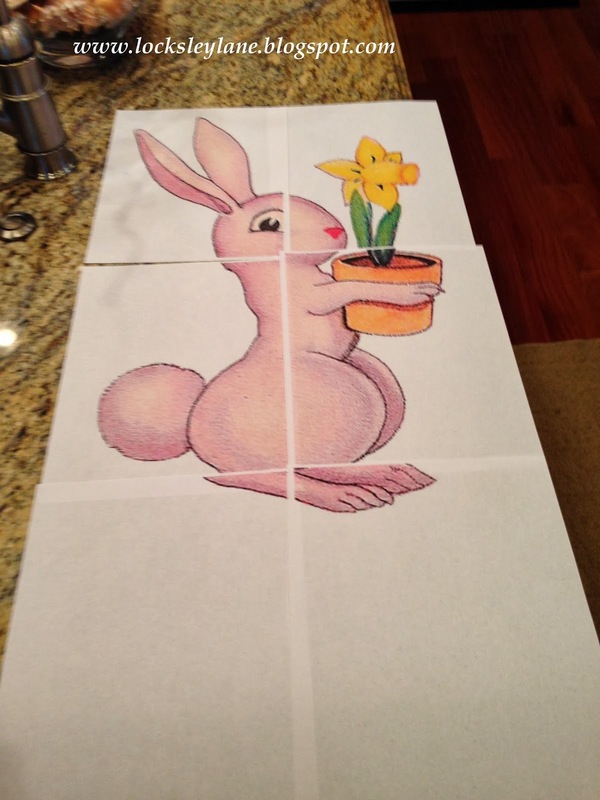 I wanted a large bunny to fit most of my material so I played around with the size on Block Posters, printed the image out and taped my pieces together. 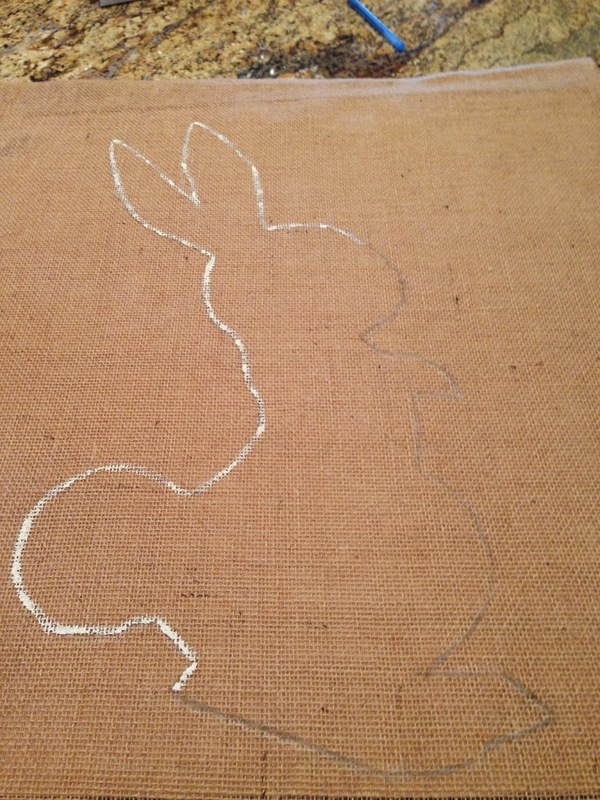 Since I was just using the outline of the bunny, I cut this out so I could trace this onto my burlap. I painted the outline using Annie Sloan Chalk Paint and then filled her in using an old sponge brush. 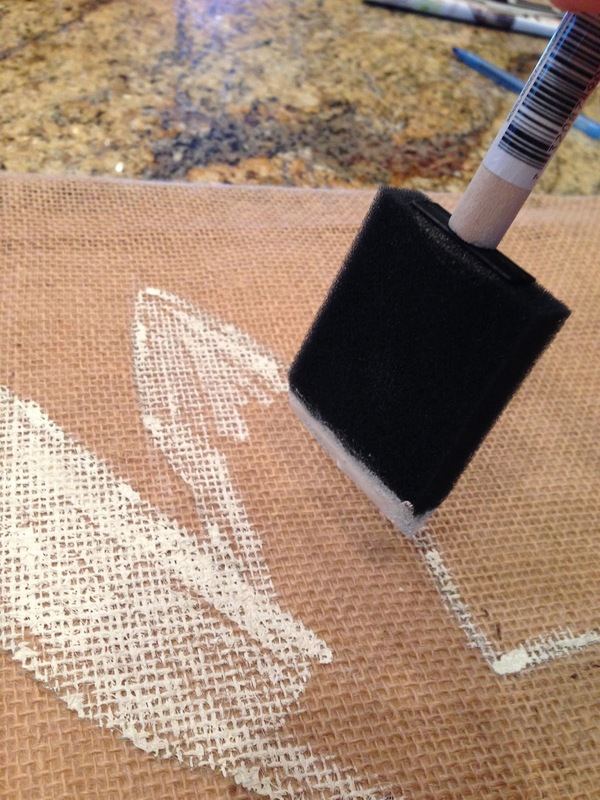 (You don't have to use chalk paint, any acrylic paint will work fine). 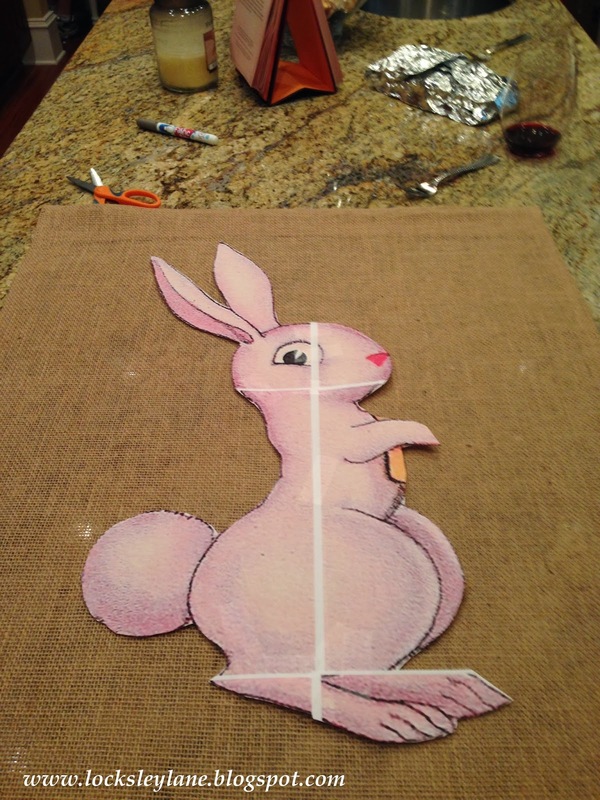 Because the burlap has large grooves in between the fibers, it took a couple of coats to fill the bunny in. It might be easier to use a cloth of some kind, but I like the look of burlap. Have a great week! Remember throughout the week to be kind.